Over the last few decades, the addiction treatment landscape has become increasingly intuitive. 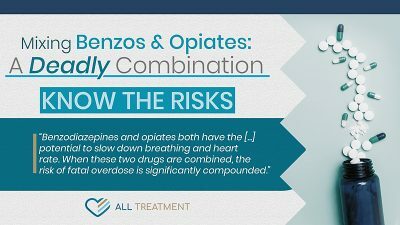 The revelation that patients positively respond to a variety of previously lesser-discussed therapies has given way to the integration of invaluable and effective techniques by more and more treatment facilities. One of these therapeutic assets is the integration of wilderness and adventure therapy during alcohol and drug rehab. Wilderness and adventure therapy can be an empowering and cathartic tool that builds patients’ confidence, improves their self-reliance, and enhances their ability to cultivate healthy relationships. It also helps patients to observe elements of nature that give them perspective, balance, and clarity. What Are Wilderness and Adventure Therapy Drug and Alcohol Rehab Programs? Wilderness and adventure therapy has become an increasingly common part of the addiction treatment process. Offered in both outpatient and inpatient treatment paradigms, the primary goal of these therapies is to help patients cultivate increased self-confidence, strengthen their ability to trust others, and appreciate the natural world around them in relation to their personal drug and/or alcohol abuse. The process also has immeasurable benefits on physical health and can help offset some of the conditions that have occurred as a result of prolonged and untreated substance use. The process feeds the mind, body, and soul of those seeking recovery and lasting mental health from drug or alcohol abuse. What Does Wilderness and Adventure Therapy Look Like? 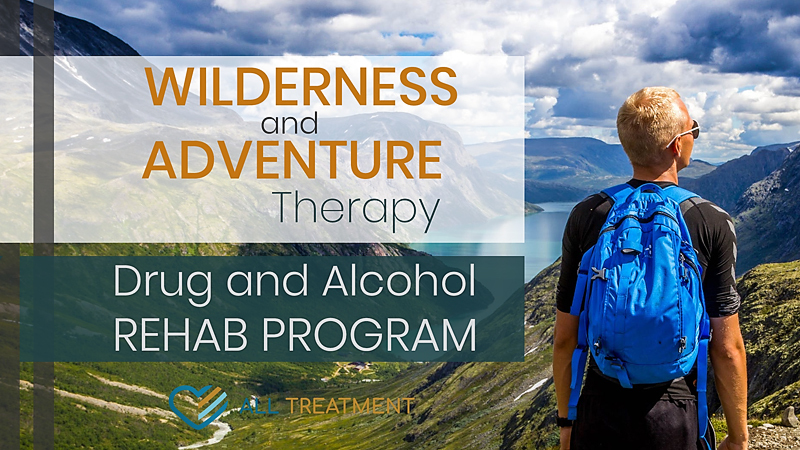 Wilderness and adventure therapy during alcohol and drug rehab consists of the integration of a variety of supplemental outdoor-based therapies. These therapies will vary according to patients’ specific care needs, facilities’ resources, and other factors. These therapies are facilitated by experienced and qualified professionals who uphold patient safety and security above all else. While they can be fundamental building blocks of the treatment process, they should be offered as part of a comprehensive treatment approach that includes group therapy, individualized counseling, and other supplemental therapies to which patients respond positively. Physical benefits. The movement and exercise associated with activities such as hiking, rock climbing, and others can significantly improve heart function, build and strengthen muscles, help with weight loss, and more. Addiction causes serious and often permanent physical health issues, so the low-impact physicality of outdoor therapy can help patients start to restore their physical health. Psychological benefits. Adventure and wilderness therapy teaches us to challenge ourselves and demand more of ourselves. It also forces us to incrementally rely on others in a group setting, which helps to build trust and formulate health relationships. One of the lesser-discussed benefits of this type of therapy is the perspective it provides when we’re feeling our most vulnerable. Addiction has a way of trapping users in the immediacy of their dysfunction, forcing them to dwell on their present circumstances. Very often, something as simple and natural as an ancient tree, a vast body of water, or a majestic rock formation can remind us that there are forces greater than ourselves. Finally, in a situation where patients are often reluctant to go through the mundane and more rote elements of addiction treatment, wilderness and adventure therapy increases patients’ buy-in by making the process more engaging and interesting. Is Adventure and Wilderness Therapy Right for Me? Adventure and wilderness therapy reinforces focus, emotional strength, humility, helpfulness, and respect for self and the things and people around them; these are all key qualities to adopt during the addiction recovery process. It’s important to remember that this therapy can be helpful to anyone at any level of athleticism. There are varying degrees to which one could practice wilderness and adventure therapy, and the process can have universally healing benefits. If you or your loved one are struggling with substance use and addiction, get the help you need today and find out if your facility offers these incredibly helpful therapy options.